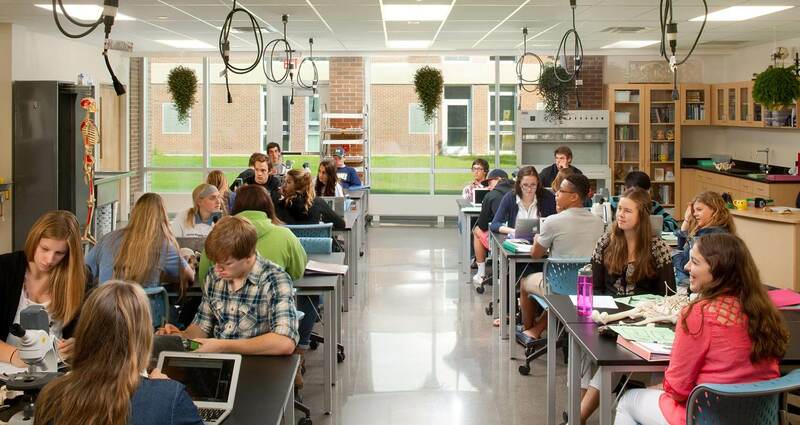 With decade upon decade of growth, Grand Rapids Christian High School underwent a series of haphazard building additions. The results were predictable. 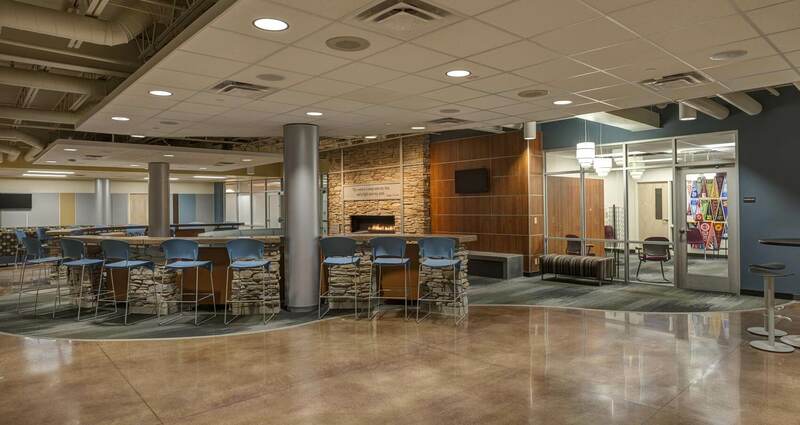 In addition to outdated learning spaces, students and visitors had difficulty finding their way around; student services were scattered in hard-to-find places throughout the building; and there wasn’t adequate space to host community gatherings. 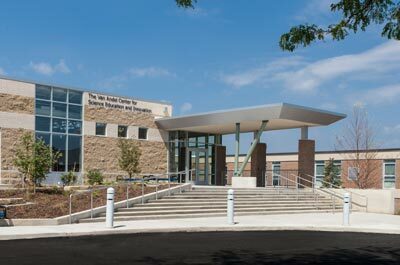 The school approached AMDG with a daunting goal: transform its aging infrastructure into a 21st century campus and learning facility. Much like education itself, traffic patterns have evolved over the past 50 years. A more welcoming front entrance replaces what once was a confusing entry system. 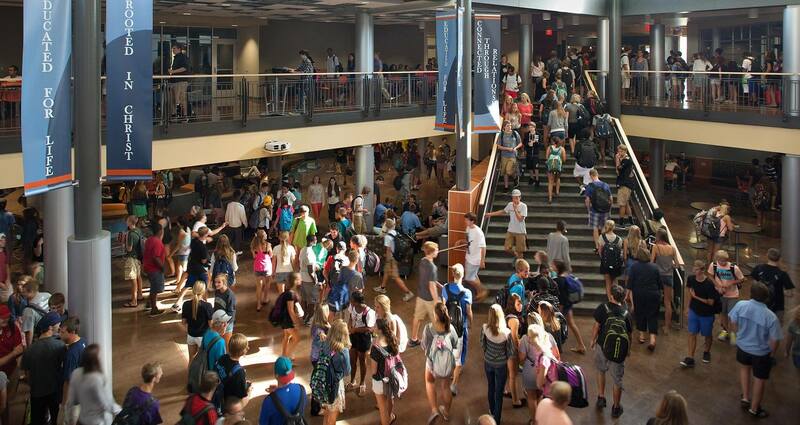 A two-story hub at the center of the school offers everything from student services and administration to a café and bookstore—all in one convenient location. 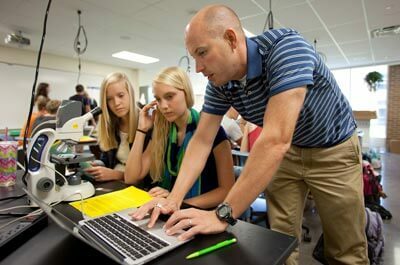 In keeping with educational program goals, learning environments are designed to adapt easily and accommodate technology. New science, technology, and engineering facilities invite collaboration across disciplines. To reconcile additions that span every decade since the 60s, the project required thoughtful planning. For example, AMDG carefully phased the demolition and construction that took place in the heart of the building to create a minimum of distraction for students and staff. Once the transformation was complete, the entire school community could enjoy a facility as prepared for the future as its students.